Science's ever-turning cogs have been at it again, and this time the cogs in question have been turning at the University of Wisconsin-Madison, and specifically within its team of plant breeders, led by John Mochon. Whilst many look into their respective cereal bowls and see a bunch of simple oats, John and his team see the BetaGene, and the healthier future that their super oat can bring for us all. Oats are part of our every day lives, or at least they should be. Whether used in cereals, bread, or cakes, these little diamonds have been proven to positively affect the body's cardiovascular system, and as one of the biggest oat-producing states in America, it is no surprise that a Wisconsin-based team of plant breeders have come up with an even superer super oat - the BetaGene oat. Put simply (for now), this new vairety has more of the compounds which give the oat its renowned cardio-friendly nature. The university's team of plant breeders have spent years developing this new and improved variety of the humble oat. But what makes it so much better than the old regular oat? Well, the secret behind this cardio goodness lies with the Beta glucan which it, and it alone, possesses. This chemical helps to improve the health of the heart. The BetaGene not only increases the oat's yield, meaning plenty of health for everyone, but is also 2% higher in beta glucan than the normal variety. 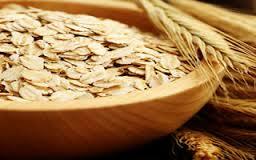 Beta glucan acts by trapping cholestrol rich acids, thus potentially leading to low LDL levels in the blood. While it is anybody's guess as to when people may be consuming this new super oat, the UW team's 14 year journey, ever since the first cross in 1998, is yet another example of food's almightly power in the fight for health. So watch this space! After years in development, the BetaGene could soon be at the very heart of science's constantly evolving efforts to battle diseases big and small.